Curb Appeal: For starters, a fence will instantly improve the curb appeal of your home, especially if you invest in a high quality fence, such as wood or vinyl. Home Value: Perhaps one of the biggest benefits of a new fence is the boost you will receive in home value. Security: A fence is an excellent theft deterrent. Burglars want to get in and get out as quickly as possible. A fence slows down this process substantially. Even though it is possible for a burglar to scale a fence, this act typically does not go unnoticed. Safety: A fence helps keep your loved ones safe from harm, providing a safe play environment for children and pets. This is especially true if you own a pool. First and foremost, a pool fence is designed for safety. These fences will stop young children from wandering too close to the pool and accidently falling in. 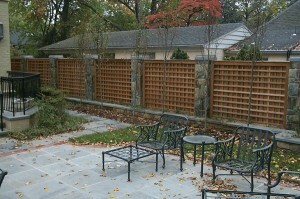 Privacy: Depending on the type of fence you choose, your privacy could increase exponentially. A privacy fence is called a privacy fence for good reason; it will improve the privacy of your yard, keeping your nosey neighbors at bay. Noise Reduction: Depending on the type of fence you choose, you could see a reduction in noise pollution. 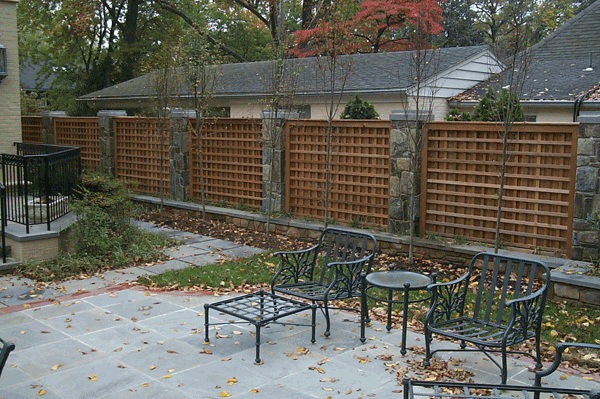 Privacy fences create a solid, or nearly solid, wall around your yard which will help deflect sound. This is especially nice if you live near a busy road. So is a fence worth the investment? We would say so, but the final decision is yours. If you have any questions, please do not hesitate to contact Hercules Fence. Our experienced sales and installation staff can handle any of your fencing needs. While you are here, please also take a moment to view our many residential fence offerings, from Custom Wood Fences to Ornamental Steel Fences to Ornamental Aluminum Fences to PVC Vinyl Fences to Chain Link Fences and more. We take great pride in our work. If you have any questions about our blog, “Is a Fence worth the Investment?” please contact Hercules Fence of Northern Virginia today by calling (703)551-2609 or visiting our website. Also, check out Hercules Fence on Facebook,Twitter, Google+ and YouTube! This entry was posted on Wednesday, February 19th, 2014 at 7:57 pm. Both comments and pings are currently closed.